Bible and Book of Mormon Contradictions – [ PDF version] Some basic discrepancies between the Bible and the Book of Mormon. Bible Verses Relating to LDS Teachings on Temple Work – [ PDF version] Shows how Mormon Temple Work contradicts Bible. Does the LDS Church Still Teach That Heavenly Father Was Once a Man? – [ PDF version] Current quotes from LDS Leaders. Gethsemane and Christ’s Blood in LDS References – [ PDF version] Sins paid for by Christ primarily in the garden? How Do We Test A Prophet? – [ PDF version] Should we take Joseph Smith at his word? Is prayer a good enough test? How Does the LDS Church View the Bible? – [ PDF version] Shows how the LDS Church’s view of the Bible differs from Christianity. How the LDS Husband Hopes to Resurrect His Wife According to the LDS Temple Ceremony – [ PDF version] Wife’s salvation dependant on husband? The Importance of Joseph Smith in Mormonism [ PDF version] How intertwined is Mormonism and Joseph Smith? LDS Church Leaders Declare Christianity to be in a State of Total Apostasy – [ PDF version] Quotes from LDS sources on Christianity. LDS Leaders Claim to be Descended from Christ and His Apostles – Contains quotes from church leaders. LDS Leaders Define Their Concept of JESUS CHRIST – [ PDF version] Quotes from LDS sources on Jesus. LDS Leaders Still Believe There Will Be Polygamy in Heaven – [ PDF version] Is polygamy still practiced? LDS Teaching on Lucifer – [ PDF version] Quotes from Mormon leaders on Lucifer contrasted with the Bible. LDS View of God Contradicts the Bible – [ PDF version] Includes What the Bible Says About God. Quotes from LDS Leaders. Mormons Hope to Become Gods of Their Own Worlds – [ PDF version] Quotes from LDS Leaders on godhood and procreation. Proclamation of the Twelve: April 6, 1845 – Proclamation on the Kingdom of God, Restoration, and American Indians being the lost tribe of Israel. Sharing Your Faith with Latter-day Saints – [ PDF version] Questions to ask your Mormon friend. Terminology Differences – [ PDF version] Mormons use the same words as Christians, but do they have the same meaning? Jesus and Joseph Smith – [ PDF version] Is Joseph Smith greater than Jesus? 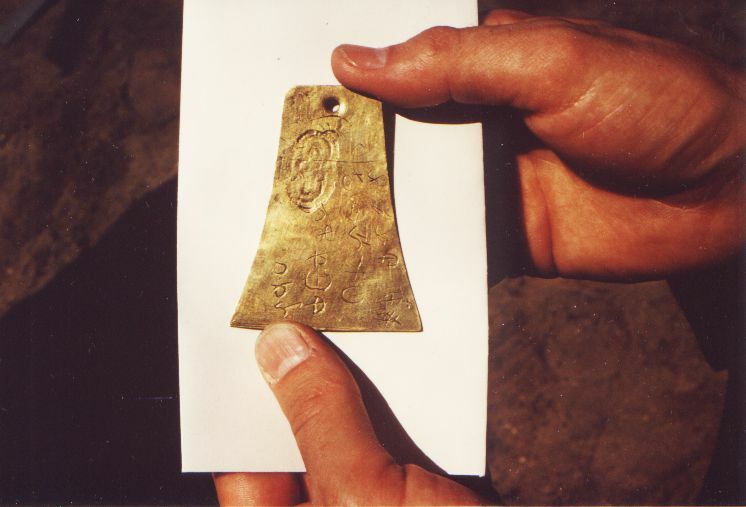 Joseph Smith and the Kinderhook Plates – [ PDF version] Did Joseph Smith attempt to translate forgeries? Testing the Book of Mormon – [ PDF version] Is there archaeological proof of the Book of Mormon? The Fall of the Book of Abraham – [ PDF version] With the Book of Abraham papyrus found, is Joseph Smith’s translation vindicated? The Worst Prison of All – [ PDF version] Is intellectual belief in God enough? Power Over the Entire World – [ PDF version] How much is a soul worth? 1869 Murder in a Mormon Ward House? – Three men mistakenly murdered to protect massacre perpetrator? Baptism for the Dead and the Twelve Oxen Under the Baptismal Font – [ PDF version] Examines the practice and the temple baptismal font. Changing Articles of Faith (The) – Photos from source documents and book excerpt detailing the changes. Chiasmus and the Book of Mormon – [ PDF version] Does the presence of chiasmus in the Book of Mormon prove it is from ancient texts? Contradictions in LDS Scriptures – [ PDF version] Includes hyperlinks to Mormon verses. Do Mormon Leaders Receive Financial Support? – [ PDF version] Mormon leaders boast of having no paid clergy. Is that true? Joseph Smith’s Death – Martyred death or a desperate gun battle to save his own skin? Joseph Smith’s “White Horse” Prophecy – [ PDF version] Is a modern politician attempting to fulfill an old Mormon prophecy? LDS Patriarchal Blessings – Explanation of what they are with examples. Includes Sandra’s blessing. Masonic Symbols and the LDS Temple – Contains examples of Masonic symbols Mormons use. One of My Family’s Best Kept Secrets – Sandra Tanner’s connection to the Mountain Meadows Massacre. Possible Sources For Book of Mormon Names – Compares Book of Mormon names with other sources like the Bible. Racial Statements – [ PDF version] A list of racial statements in Mormon scripture. Reorganized LDS Church (The) – Information and quotes about the RLDS. Sample of Joseph Smith’s False Prophecies (A) – [ PDF version] A list of 12 false prophecies. What is a Cult? – [ PDF version] Basic definitions of a cult. Where Did Joseph Smith Get His Ideas for the Book of Mormon? – Probable parallels from books pre-dating the Book of Mormon. Where is Cumorah? – Scene of the last battle of the Book of Mormon peoples. Was it in New York? Zelph – The White Lamanite Warrior – Bones of a Book of Mormon warrior found in Missouri? How to Remove Your Name from the LDS Records – Includes excerpt on Church Discipline from Encyclopedia of Mormonism. Captain Morgan and the Masonic Influence in Mormonism – This is Chapter 13 from The Mormon Kingdom Vol. 1. Explains the significance of Captain Morgan’s book Exposition of Freemasonry. Includes detailed parallels between the Masonic rituals and the Mormon Temple ceremony. Introduction to 3,913 Changes in the Book of Mormon – [ PDF version]This revised introduction shows just how different the Book of Mormon is today from its original 1830 version. Lectures on Faith – Excerpt from Mormonism—Shadow or Reality? about the removal of lectures on the nature of God from the Doctrine and Covenants. The Stolen Manuscript: The Golden Bible Excerpt – 116 pages of the Book of Mormon lost? Multiple sets of plates? Excellent analysis by Rev. M. T. Lamb on Joseph Smith’s attempt to save the Book of Mormon by rewriting the beginning. John Hay Atlantic Monthly Article – The Mormon Prophet’s Tragedy (1869). Details the circumstances surrounding the death of Joseph Smith and the subsequent trial of his killers. The Rise and Fall of the LDS Church by Ed H. Yong. An interesting look at the LDS Church as a business/sociological phenomena. Copyright Lawsuit: Under the Cover of Light: News Also see: Messenger #96. The Smithsonian Letter – The Smithsonian denounces the false rumor of using the Book of Mormon as a tool for research. The National Geographic Society Letter – Refuting the rumor that they also use the Book of Mormon. Anthon Transcript – What is it? And why is it so important? Article contains images of the Anthon Transcript, broadside “Stick of Joseph,” as well as sample Egyptian hieroglyphs and Mayan writing. Professor Charles Anthon’s Letter – The professor’s direct response to Mormon accusations. The New York Times, Dec. 29, 1912: “Museum Walls Proclaim Fraud of Mormon Prophet” – Early analysis of Joseph Smith’s claim to translate an Egyptian papyrus into the Book of Abraham. Includes photos of original article. The Stolen Manuscript: The Golden Bible Excerpt – Excellent analysis by Rev. M. T. Lamb on Joseph Smith’s attempt to save the Book of Mormon by rewriting the beginning! The Preface to the 1830 Book of Mormon – Joseph Smith’s statement on why the lost 116 pages weren’t retranslated. The Book of Mormon Plates Source Information – Chart (concept) of all the plates used for the Book of Mormon. Also includes part of the Introduction to the current Book of Mormon explaining the different plates. Doctrine and Covenants Section 10 – Joseph Smith’s revelation in which he is conveniently told not to translate the missing 116 pages. The Words of Mormon – “This insert connects the record engraved on the Small Plates with Mormon’s abridgment of the Large Plates,” from the Introduction to the Book of Mormon. Interview with John H. Gilbert from The American Bookseller – reprint of an interview in Detroit Post and Tribune. Gilbert comments on the printing of the Book of Mormon, and Joseph Smith’s money-digging. Introduction to 3,913 Changes in the Book of Mormon – [ PDF version] Introduction covers how and why changes were made to the Book of Mormon after its first printing. King James 1611 Preface and Joseph Smith’s “Cloud of Darkness!” – Evidence of Joseph Smith’s plagiarism of the King James Preface. Includes photos and typescript of the preface. Brigham Young’s Estate – Quotes on how Brigham “borrowed” from the Church and died owing over $1 million dollars. Includes pictures of Young’s houses. Mormons Hope to Become Gods of Their Own Worlds – Quotes from LDS Leaders on godhood and procreation. Joseph Smith’s King Follet Sermon – [ PDF version] Sermon from History of the Church. Details Joseph Smith’s concept of God(s). Joseph Smith’s Sermon On Plurality of Gods – More on Smith’s concept of God from History of the Church. Evolution of the First Vision and Teaching on God in Early Mormonism by Sandra Tanner. Joseph Smith’s Handwritten 1832 First Vision – Contains photo and transcript of Smith’s 1832 first vision account. 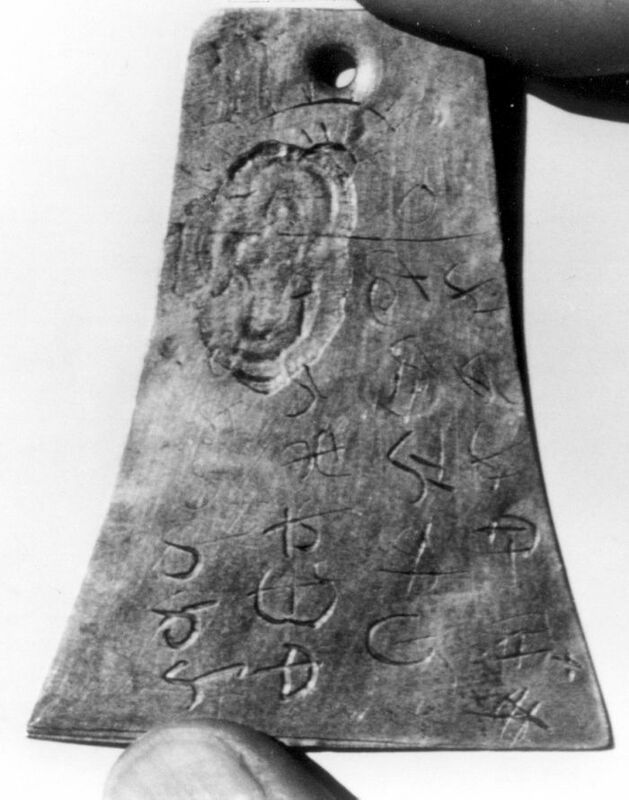 The Kinderhook Plates – Excerpt from Answering Mormon Scholars Vol. 2 about Joseph Smith’s “translation” of another set of plates, only these are conclusively proven forgeries. Joseph Smith’s Kirtland Bank Failure – A blunder of prophet proportions involving Joseph Smith and illegal banking. Photos of 3 dollar bills printed by Joseph Smith’s Kirtland bank. Nauvoo Expositor Excerpts – The newspaper published in 1844 which exposed Joseph Smith’s polygamy practices and later led to his death after he destroyed the press. Indian Polygamy Revelation – Excerpts from The Joseph Smith Revelations and Mormonism—Shadow or Reality? Interview with Martin Harris in Tiffany’s Monthly – One of the three original Book of Mormon Witnesses interviewed. Joseph Smith’s King Follet Sermon – Sermon from History of the Church. Details Joseph Smith’s concept of God(s). Joseph Smith Boasting and Polygamy Denial Sermon – Where Smith claims he is greater than Jesus and lies about having only one wife. The Role of ‘Prophet, Seer, and Revelator’ in the Mormon Church, 2009 Compassionate Boldness Conference.